Negansonic Teenage Warhead is a mutant Marvel character who first appears as a student of Emma Frost. Negasonic Teenage Warhead appears in the film Deadpool (2016) and is played by actress Brianna Hildebrand. Ellie Phimister was a teenager from Genosha. She became a pupil of fellow telepath Emma Frost. Ellie began reporting a terrible nightmare where all the people in Genosha were exterminated. Soon after Cassandra Nova's Wild Sentinels appear on Genosha and wipe out half of the world's mutant population (16m people). Emma was found on carrying the body of Ellie through the wasteland after the attack. Emma had survived due to her Diamond form secondary mutation. She says the child had named herself Negasonic Warhead. Emma than suffered a temporary mental breakdown when she realized Ellie was dead. She is among the mutants resurrected by Selene for the Nechrosha event. Negasonic Teenage Warhead appears in the film Deadpool (2016) and is played by actress Brianna Hildebrand. 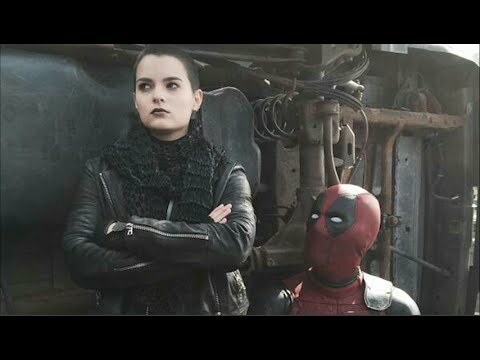 In the film Negasonic Teenage Warhead is a telepathic compatriot of Deadpool.